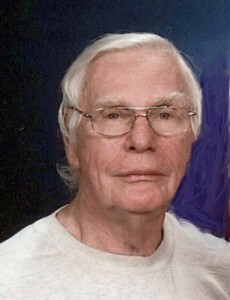 Donald Robert Waters, 82, of Clearfield was called home by the Lord on Sunday, Jan. 26, 2014 at his home. He was the husband of Patricia Ruth (Kaufman) Waters of Clearfield and whom he married Oct. 15, 1966. Born Aug. 16, 1931 in Paterson, NJ, he was the son of the late William H. and Dorothy (Reichstein) Waters. He was a veteran of the U.S. Navy. Mr. Waters was employed as a controller for the U.S. Department of the Army at Picatinny Arsenal in Dover, NJ during Vietnam. Then, in 1960, he left for a job with the Department of the Navy in Washington, D.C. He was a member of West Side United Methodist Church. He enjoyed hunting, collecting guns, both antique and modern, swords and knives. He was an avid Steelers and Penn State fan. He also enjoyed model trains, flea markets, yard sales and automobiles. Surviving are four children, Holly Marie Waters, William Harrison Waters Jr. and Karen Elizabeth Waters of Clearfield and Kristen Elaine Waters of Ligonier; a sister-in-law, Jacqueline Carns of Clearfield; a brother-in-law, Gerald Kaufman and his wife, Judy of Clearfield; and nieces and nephews. He was preceded in death by his parents and a brother, William Waters. There will be no public viewing. A memorial service to celebrate his life will be held at a later date at his church, West Side United Methodist of Clearfield. The Bennett & Houser Funeral Home Inc., 312 E. Locust St. of Clearfield is assisting the family with their arrangements. Memorial contributions may be made to the West Side United Methodist Church, 317 Nichols St., Clearfield, PA 16830. Online tributes may be made at www.bennettandhouserfuneralhome.com or www.mem.com. Obituary Notice: Richard L. Cantolina Sr.